We are the industry leader. With over thirty years experience in the synthetic/artificial grass market Worldwide, we Clearly understand the needs and demands on a playground surface. Ultimate Play Turf™ is the industry leader we are defining the market that other companies can only attempt to duplicate, with our research and development team and years of experience, and lessons learned, our innovation, and products high standards, we lead the market in the number of “Ultimate Play Turf” surfaces installed annually. 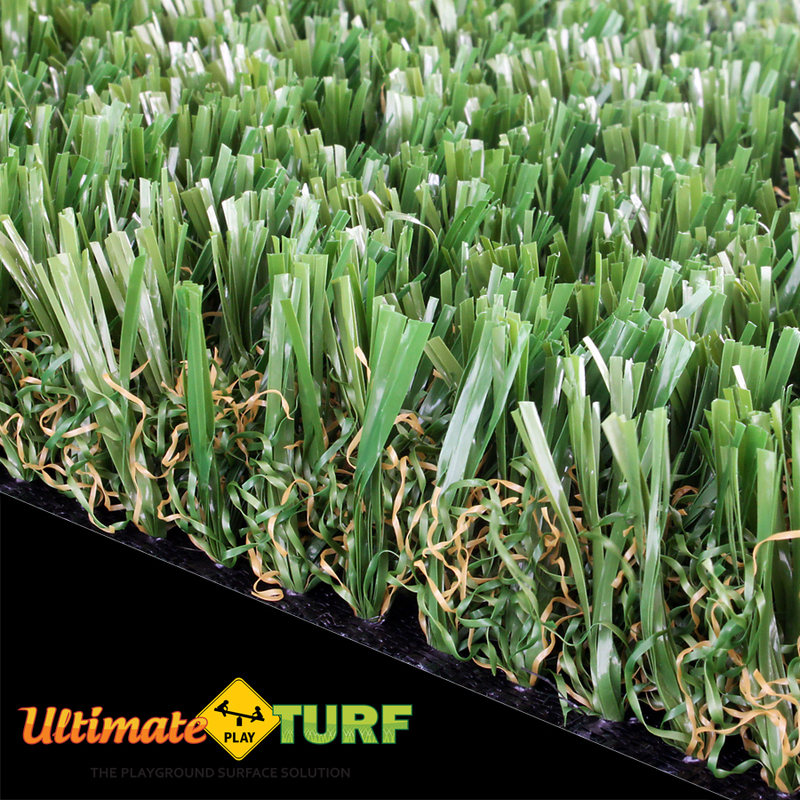 We have increased our specification and special product design to not only meet, but exceed the demands placed on the “Ultimate Play Turf” surface. 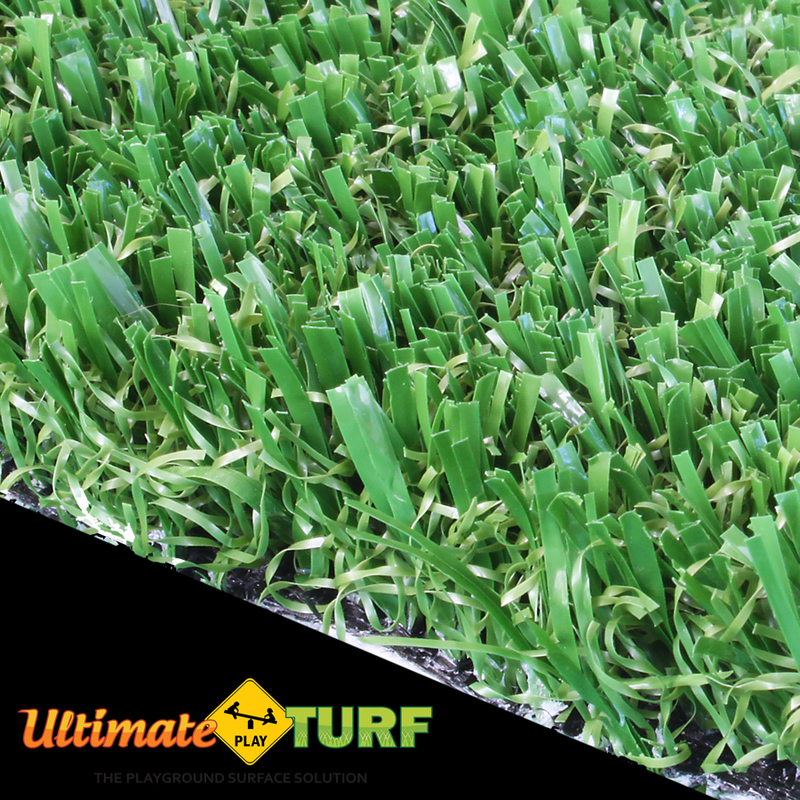 Ultimate Play Turf™ has many different products and over 8 different standard colors of grass we can offer and manufacture for your playground grass surface. Placing many options, such as 4-Square, Hop-Scotch, special logos and many more, there is No Limit to the imagination. We designed and developed products that are specifically for the playground environment; we can meet and exceed your needs. Available in 8 colors for custom designs and specialized game areas. Softer on skin that wood mulch and traditional grass. 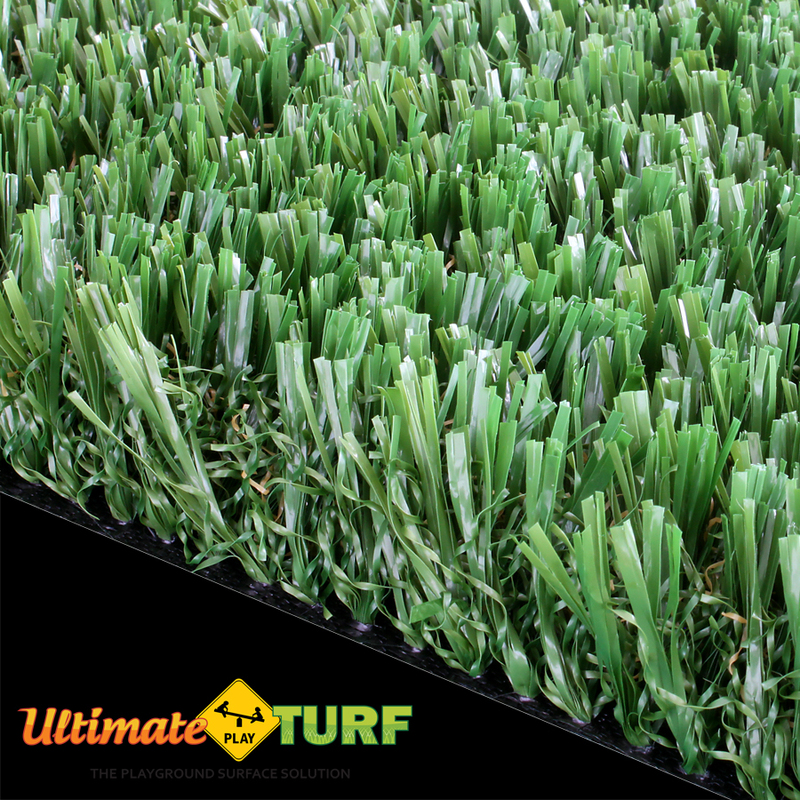 Eliminates allergies caused by natural grass. Ready for play, even immediately after a rain storm. Stays green winter, spring, summer and fall. Ensures safety and accessibility across installations. Made from recycled non toxic materials. Start your next Ultimate Play™ Project!